Poll: Do CD Players Need to be Saved? Poll: What kind of mods have you done to your XLR? Poll: How can the XLR be improved? Poll: Has GM Restored Your Faith? 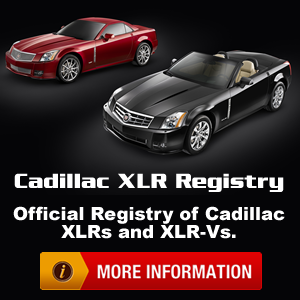 Poll: Average age of a Cadillac XLR Owner? Poll: Will GM's bankruptcy affect your decision to buy one of their cars in the future? Poll: Do you think the changes being made at Chrysler and GM will save the companies? Poll: In the event of GM's bankruptcy, which group would be the biggest loser? Poll: GM's CEO Forced to Step Down: Good Idea? Poll: Which Muscle Car Would You Want to Display? Poll: What should the U.S. automotive industry agree to in order to secure federal loans? Poll: What should the Detroit 3 do if they fail to get immediate government aid? Poll: How can President-elect Barack Obama best help the auto industry? Poll: How should automakers respond to rapidly falling fuel prices in the United States? 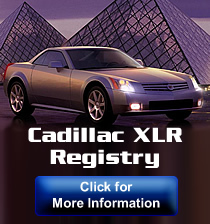 Poll: What year XLR do you own?